Jamie is a True Star! Jamie Reed, year 1 Squirrels Class, made it into the news last week with his Life-saving actions. 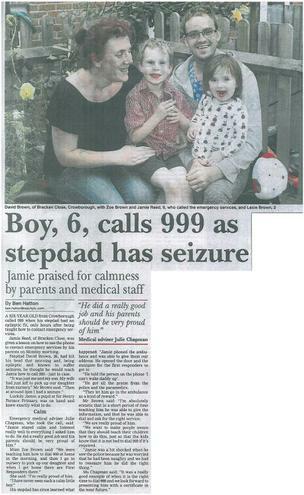 As a whole school, we are really proud of you Jamie - well done!